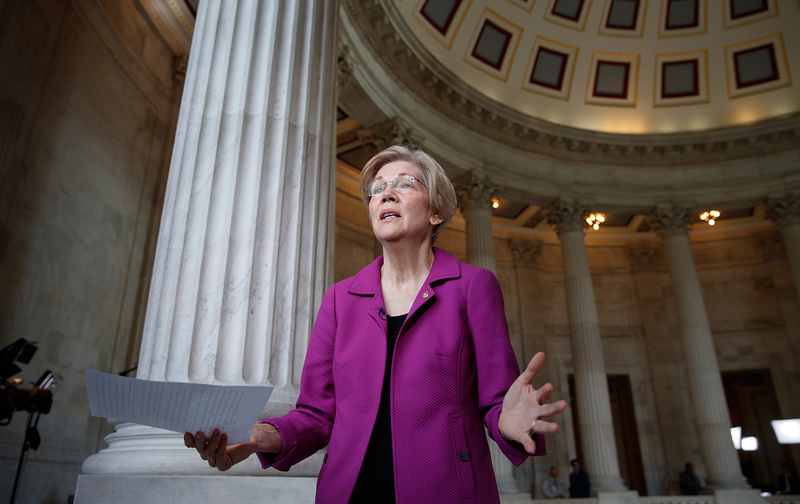 Shutting up Elizabeth Warren is part of a long tradition of upholding gentlemen’s status at the expense of truth. In her book Double Character: Slavery and Mastery in the Antebellum Southern Courtroom, legal historian Ariela Gross writes that in the old Deep South, a male citizen’s honor depended on public confirmation, unlike “the inward-looking piety of the Puritan tradition,” which located conscience and guilt in a “private sense of good and evil.” I couldn’t help thinking of that ethic when Elizabeth Warren was silenced on the floor of the US Senate during Jeff Sessions’s confirmation hearing after she called into question his fitness to serve as head of the Justice Department and as attorney general of the United States. “You stated that a sitting senator is a disgrace to the Department of Justice,” said Republican Senator Steve Daines of Montana, rising to defend the honor of Donald Trump’s nominee. It seems quaint, this admonishment about “conduct unbecoming,” given the last few years of behavior in Congress. Warren persisted: “I’m simply reading what [Coretta Scott King] wrote about what the nomination of Sessions to be a federal-court judge meant, and what it would mean in history, for her.” The 1986 letter by Dr. Martin Luther King Jr.’s widow asserted that Sessions “lacks the temperament, fairness and judgment to be a federal judge,” and accused him of pursuing, in his days as a prosecutor in Alabama, a “shabby” voter-fraud case against African-­American activists. As a purely technical matter, the lawyer in me would wish to point out that Senator Warren’s reading of Mrs. King’s remarks didn’t have anything to do with Jeff Sessions’s behavior as a senator, but specifically concerned his fitness to serve either on the federal judiciary or as US attorney general. In particular, attorneys general represent all of the people of the United States in criminal and civil cases. They construe all agency laws, functions, and regulations. They’re in charge of federal prisons; they supervise the activities of US marshals; they oversee the enforcement of civil-rights laws; and they advise the president on the limits of these laws. The accusations relating to Sessions’s history of prosecutorial misconduct, racial stereotyping, and voter suppression would seem germane to his ability to enforce the nation’s laws impartially. It will be interesting to see, over the next few years, who gets to speak freely, and whose words are deemed threatening, even terrorizing. Sessions’s subsequent approval by the Senate notwithstanding, I remain intrigued by the use of Rule XIX to silence Warren. It seems anachronistic, even quaint, this admonishment about “conduct unbecoming”—particularly given the last few years of bitter name-calling, obstructionism, and general bad behavior in Congress. A more familiar version of this code of conduct may be the Uniform Code of Military Justice, which lays out the offenses subject to court-martial. It includes Article 133, which criminalizes “conduct unbecoming an officer and a gentleman,” including defamatory language in one’s official, unofficial, or private capacity that diminishes the standing of the military as an office, a profession, and a duty. “Although honor was most prized when it came from equals,” Gross writes in Double Character, “honor thrived best in societies with a dishonored class, through whom and on whose bodies men could exercise honor.”And so, at various points in our history, those who dwelled in the dishonored geographies of “civil death”—women, slaves, Native Americans, indentured servants—were habitually banned from testifying or speaking in courts, in legislatures, even on their own behalf. Indeed, “talking back”—i.e., persisting in saying anything at all—was construed as not just an insult to one’s honor, but the endangerment of a gentleman’s reputation and status as a first-class citizen. (It’s amusing, perhaps, to think of this as the original “political correctness.”) Honor for some has always meant the silencing of others. With the resurrection of something that exudes a faint whiff of the peculiar institutions of first-class citizenship and second-class humanity, it will be interesting to see how the ethic of civility among gentlemen plays out over the next few years: who gets to speak freely, and whose words are deemed threatening—or even terrorizing—­to politesse and the polity. We must have room on the record for the spoken objections, lived experiences, and inconvenient truths to be learned from women, from refugees, from Black Lives Matter, from veterans of our multiple wars, and from those water protectors standing vigil through this long, dismal, and very frigid North Dakota winter. We must insist that the honor of being heard is due to all peaceful dissent.